Irritable bowel syndrome, known as IBS for short is a common disorder of the digestive system. Approximately 1 in 5 people in Britain suffer with IBS. It is usually more common in women but this may be just because more women seek medical attention for IBS. The cause of IBS is unknown, however, stress and an increased sensitivity of the gut are common triggers. Diet is another common trigger and though IBS can’t be blamed on an unhealthy diet, some people may have a bowel which is sensitive to particular foods. The symptoms of IBS appear to be due to an over sensitive bowel, resulting in food passing too quickly (causing diarrhoea) or too slowly (causing constipation) through your digestive system. This results in spasm of the bowel muscle, causing discomfort and cramping pain. What symptoms are associated with irritable bowel syndrome? Stomach cramps or pain in your stomach. Abdominal bloating after meals. Some women say that the bloating is so severe it makes them look pregnant. The need to move bowels but unable to do so. Remember, these symptoms could indicate other problems so always consult your doctor if your symptoms persist or are severe. You should also contact your doctor if there is any blood present in your stools. Caffeine products e.g. tea, coffee and cola. You should also avoid eating large meals, instead eat smaller meals more often or eat smaller portions. I have suffered with IBS and for me the main trigger was chewing gum. Since eliminating it from my diet I very rarely suffer any IBS symptoms. As IBS causes no visible abnormalities there are no specific tests to confirm diagnosis. In most cases diagnosis is based upon your symptoms and ruling out other conditions. Your doctor will usually begin by discussing your symptoms and they may give you a physical examination. If your doctor suspects you could have an infection then you may be asked to give a stool sample. You may also be referred to a hospital for further tests, to exclude the presence of more serious disorders. Tests the doctor might carry out include a blood test, x-ray, endoscopy (to observe the inside of the bowel) or an ultrasound. IBS is only really diagnosed when other possible causes are eliminated. 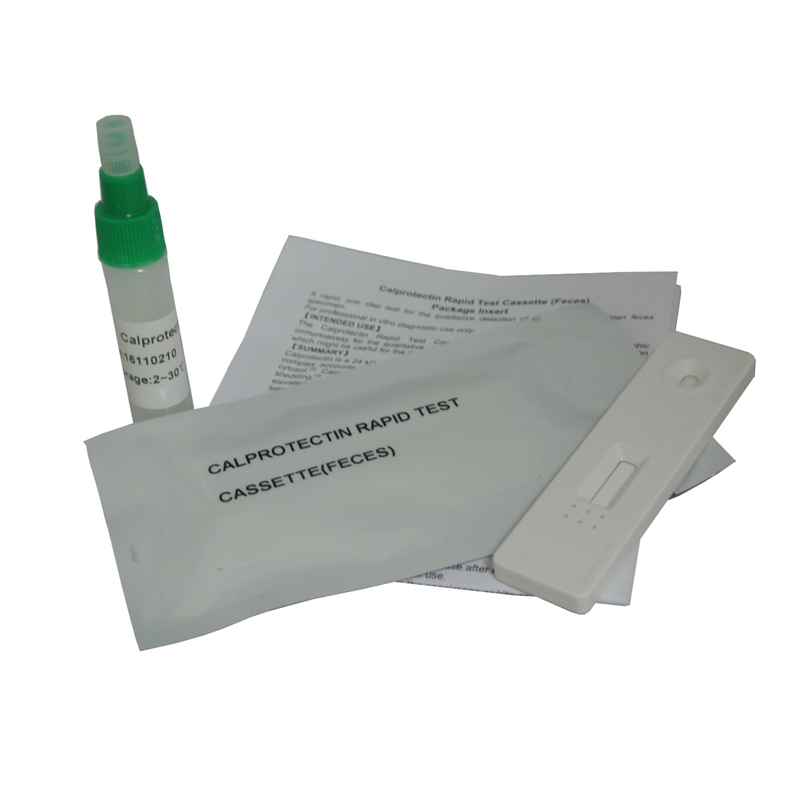 We now offer a Faecal calprotectin test that will help to rule out other possible conditions which have similar symptoms to IBS. 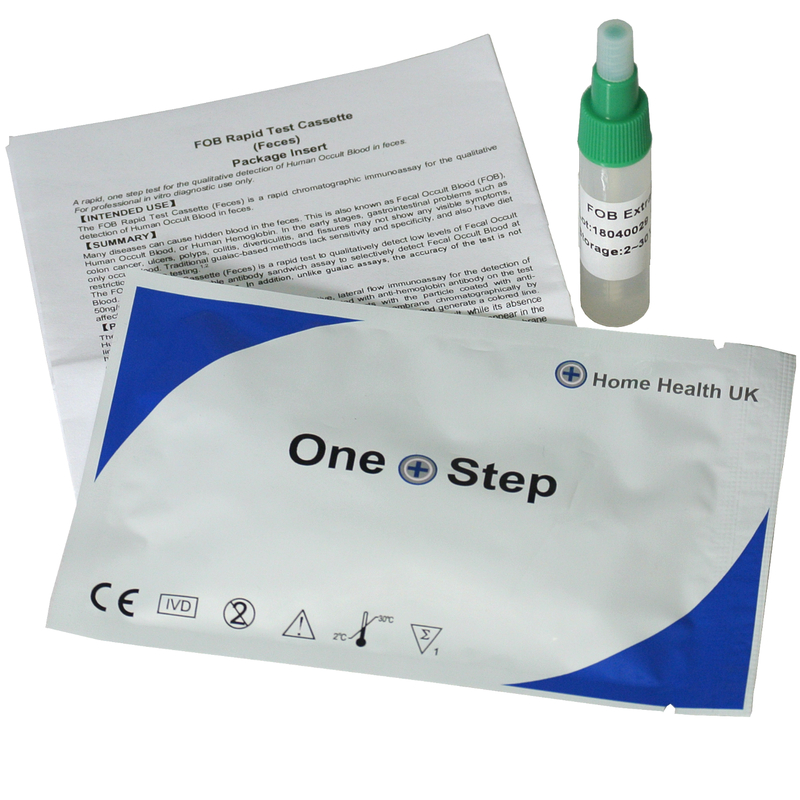 This is a professional test kit that can be carried out by either a Health Professional or GP. Click here to find more out about the test kit. There is no specific treatment or cure for IBS. However, most people can manage their symptoms through a combination of diet, exercise and medication. Your doctor may suggest you go on an elimination diet to discover if your IBS symptoms react to particular foods. Keep a record of when your IBS symptoms occur, to help you identify which food might be acting as a trigger for you. You should also try cutting out alcohol, caffeine and dairy products to see if this helps ease symptoms and aim to drink 8 glasses of water a day. If you suffer with wind or bloating try eating oats which are found in some cereals and porridge. Some people find taking probiotics which can be found in some yoghurts and food or as a dietary supplement claim to help improve your digestive health by restoring the balance of your gut with “friendly” bacteria. If your symptoms are brought on by stress it may be helpful to have counselling in stress management or try hypnotherapy. Make sure you keep physically active, exercise is a great way to improve digestion and stress. Try dancing, swimming or even walking a few times a week. 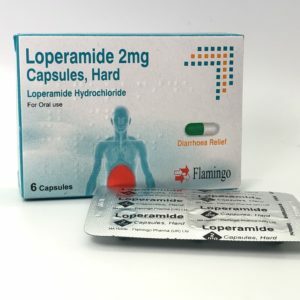 Over the counter medications can also help treat IBS, loperamide can help relieve the symptoms of diarrhoea by slowing down the bowel. For more information or to buy loperamide click here. Laxatives can help relieve constipation by making your stools softer. Drugs called antispasmodics help to relax the muscles in your digestive system to reduce stomach cramps. You shouldn’t use these drugs long term so speak to your doctor for advice if you find you are needing to take them regularly. There are also many homeopathic remedies available to relieve IBS symptoms. Peppermint oil capsules have a direct muscle relaxant action and have a calming effect on the digestive tract so can be very helpful, ask your pharmacist for advice. When symptoms are present try relieving them with a hot water bottle, placed on the stomach. Remember, though IBS can be a very distressing condition, it is not serious or life threatening and does not cause any damage to the bowel.